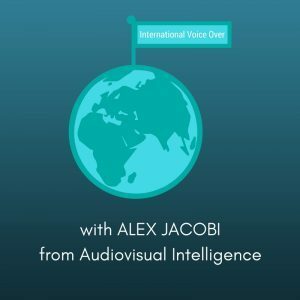 I recently had the pleasure of discussing International Voice Over Production with Audiovisual Intelligence chief, Alex Jacobi. His company has two main studios: one in Dusseldorf, and their headquarters in Aachen, Germany. The studios feature a growing staff of 27 media experts. He founded the company over ten years ago when he made the switch from being a music producer to producing sound for commercial work. He realized that he would need a reliable roster of voice over talent for the amount of corporate video work he was producing. As a result, he decided to create a web tool for that, and sprechersprecher.de was born. On the many projects that I have recorded for AI, we have used ipDTL to connect my Atlanta studio to their German studios. Alex Jacobi notes that ipDTL is fantastic not just because it’s a cheaper ISDN replacement, but because they work with global talents in their native countries, including Southeast Asia and Africa. For this, the ease of use and ubiquity of ipDTL makes it the great choice for remote international recording. Also, it even works with a Chromebook. Audiovisual Intelligence screens native speakers of dialects through two-to-three other native speakers for approval. They also work with native speakers to get the copy just right for multi-lingual productions. This is especially true for their work for FMCG (Fast Moving Consumer Goods) voice over clients. In conclusion, Alex Jacobi notes future trends in voice over casting are influenced by manufacturers now producing their commercials and videos internally with extensive marketing departments. However, marketers do not necessarily have the same skill set or expertise as the media producers and directors one would see on similar projects 20 years ago. Casting companies need to provide voice over solutions and knowledge for them in many languages. That’s where Alex Jacobi’s company comes in to provide Audiovisual Intelligence.